Homeport President & CEO Bruce Luecke recently was interviewed for the Ohio Housing Finance Agency’s new podcast “Door Steps.” Bruce told the Homeport story and how it relates to addressing Central Ohio’s significant shortfall in both affordable and workforce housing, and the services that Homeport links to its residents. “Ninja Turtles” from Georges Creek participated in the ‘Fall Harvest’ party. Pumpkins gets some face time thanks to children at Marsh Run. Children in Homeport’s Georges Creek and Marsh Run apartment communities participated in Fall Harvest parties the last week of October, enjoying pizza, candy, costume judging and pumpkin drawings. At Georges Creek, Boys & Girls Clubs of Columbus organized games including a race to make the best mummy. Bruce Luecke, Holly and Andy Malone. 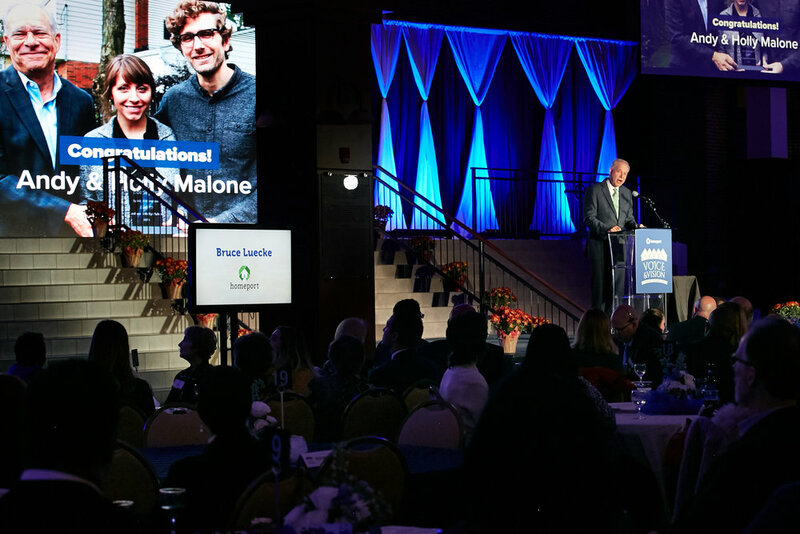 Homeport President & CEO Bruce Luecke announces special award during Voice & Vision ceremonies held at St. Charles Preparatory School’s Walter Commons. Holly and Andy Malone are the first-ever Spirit of Homeport winners. 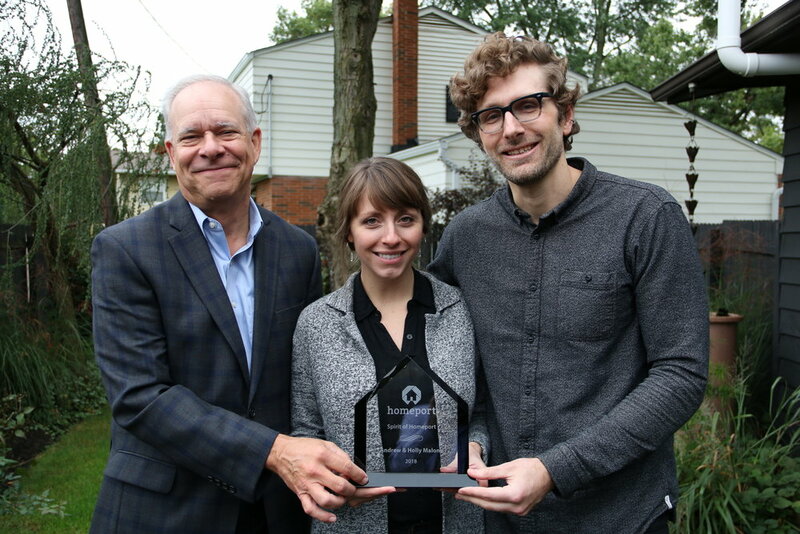 Andy Malone, a Realtor, and his wife and business partner, Holly, a graphic designer and photographer, have designated a percentage of Scout Columbus home sale commissions to Homeport since August 2017. The award was announced the night of Homeport’s annual gala program, Voice & Vision, when backers and partners of Homeport gather. To read more about the Malones, click here.